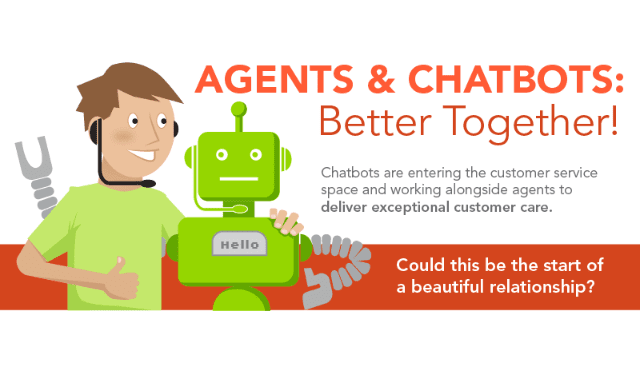 Agents and Chatbots – Better Together! #Infographic ~ Visualistan '+g+"
Chatbots are entering the customer service space and working alongside agents to deliver exceptional customer care. Could this be the start of a beautiful relationship?